Roads & Bridges Magazine awards and recognizes the top industry projects based on project challenges, impact to region, and scope of work. This award recognizes the team’s coordination, attention to detail, and outside the box thinking required to deliver a safe and quality product with as little impact to the motoring public as possible. 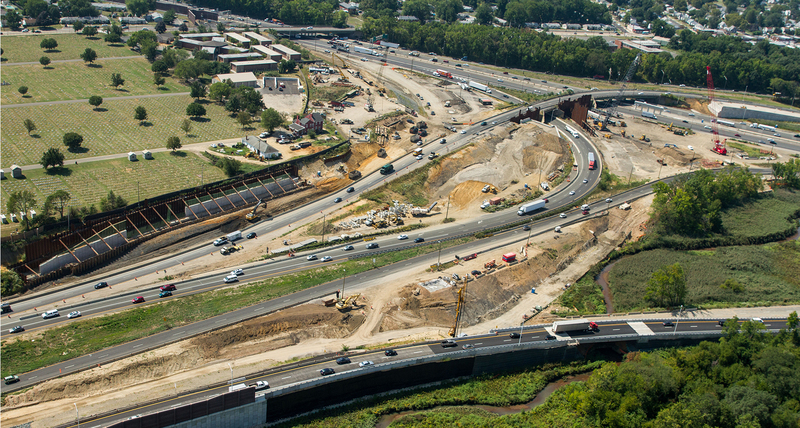 The Route 295 project’s goal is to resolve bottlenecking from regional traffic to and from the Philadelphia metro and South Jersey areas. The interchange of three major routes experiences traffic influxes in excess of 250,000 vehicles per day with one of the highest accident rates in the state. Construction consists of replacing an existing bridge; constructing a new 500-ft-wide flyover; a series of on- and off-ramps; and creating 11 lane-miles of new roadway. Crews perform this work with zero reduction in existing roadway capacity. Of particular note, the project utilized several value engineering and design-build components in the geotechnical and structural fields, where the Conti team was able to showcase their ‘best value’ mentality and allow the client to reap considerable cost and schedule savings program-wide.